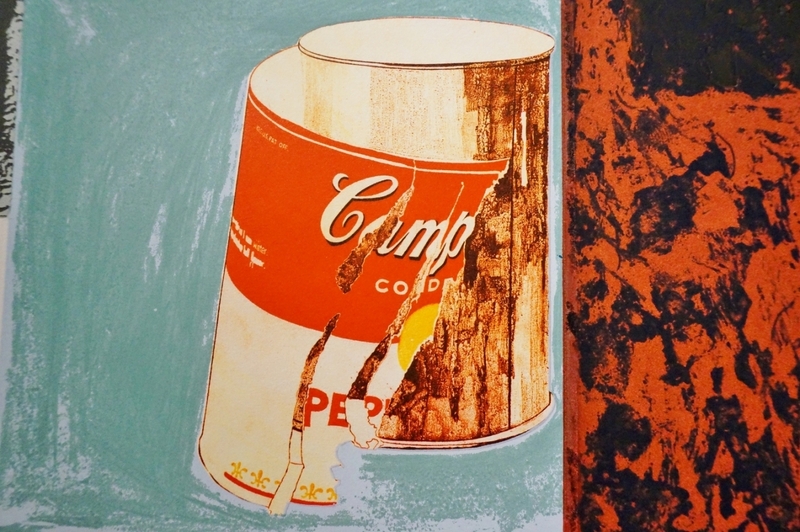 Unframed IRWIN group print, titled `Campbell Soup`, 1995, Slovenian. 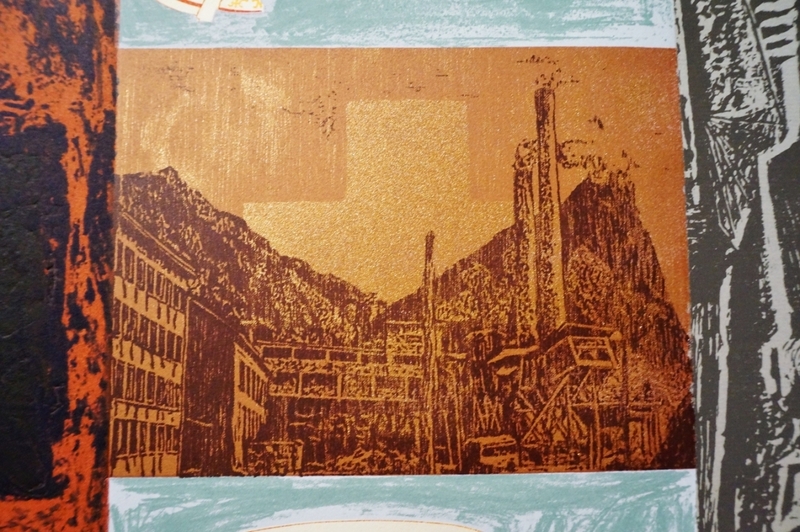 This multi-media print is composed of etching, lithograph, silkscreen & applied medium on CM Fabriano 100/100 cotton paper. 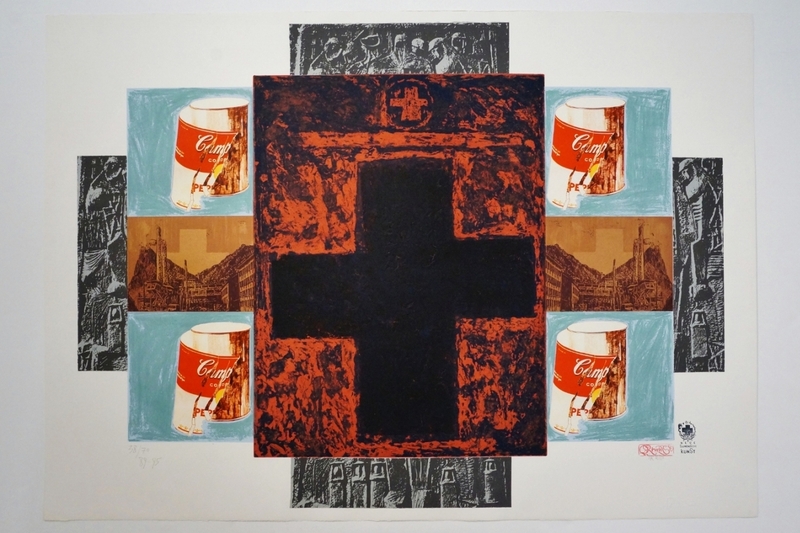 The use of gold metalic dust on traditional images such as the black cross and the reference to Pop Art's 'Campbell Soup' tin makes this print up-to-date. 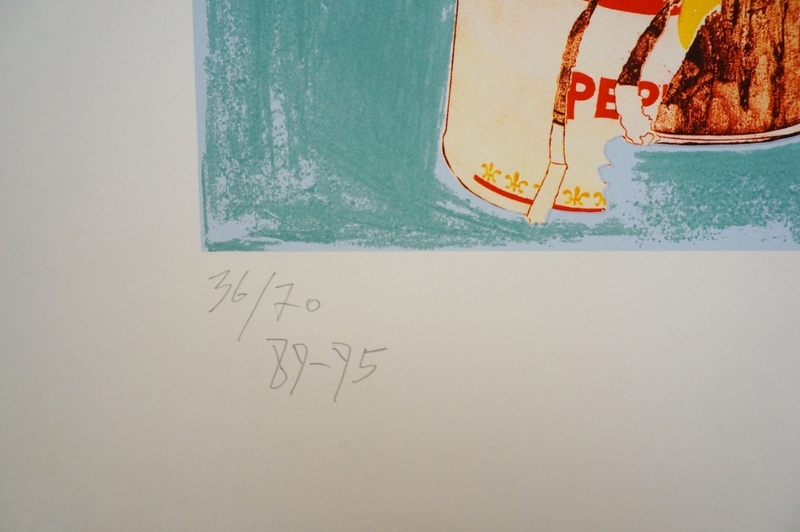 Number 36/70, dated 89-95 in pencil in the lower left-hand corner. Stamped IRWIN & Neue Slowenische Kunsts in the right corner where IRWIN has also been written in pencil. This print is based on IRWIN paintings from 1988 & 1989. 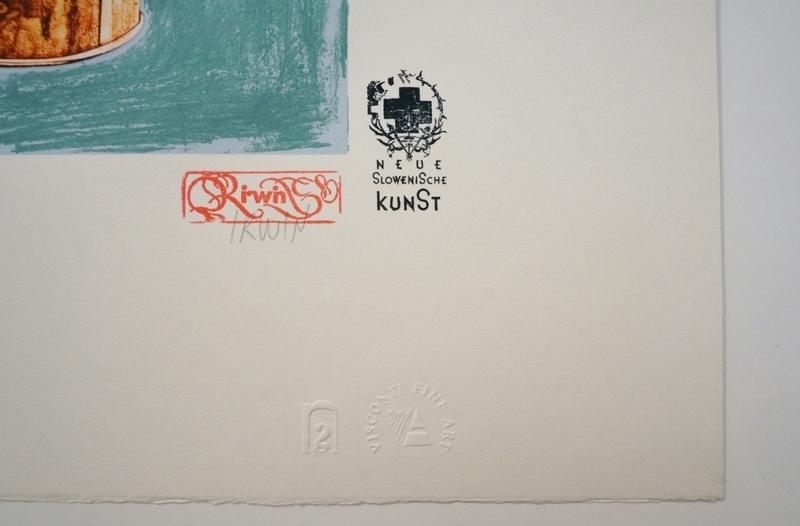 Printed by Novak Graphics Toronto and includes the printer's stamp along with the stamp of Visconti Fine Art gallery of Slovenia. Excellent condition. IRWIN Group History - Established in the 80´s, IRWIN is a political group of five Slovenian artists. Read more about the IRWIN group on our Roomscape Blog http://www.roomscape.net/irwin-group-prints---history_10109#.VNhjA_msUr4 . H. 70 W. 99 D. 1 cm. H. 27 W. 39 D. 0 in.